With every single day that passes, i just keep on finding many different and new reasons, why most things we see around us and make use of, all not just right, or at the place where they are supposed to be, and that was the reason why i initially made this first article.. See Here - 7 Reasons Why I Uninstalled WhatsApp From My Smart Phone. Though as usual, cause this is life, and in life, you don't always expect people to see things the way you saw them. So i got a lot of stones and criticism from that first post, but that wouldn't stop me from saying what i feel is right and wrong, towards issues like this one. Now don't get me wrong, i'm not saying that WhatsApp as we know it, isn't good and all that, No, whatsapp is in fact one of the best instant messaging app you could lay your hands right now to chat with friends, family and others. So far, i love the way everything is being made simple and easy for anyone and everyone to understand and quickly get used to it, but i just feel like there are some little little aspects and places where they needed to look into and make some retouches, especially in terms of personal privacy and security, and that was the reason why i made that very first post which i gave the link above. But in case you missed it, here's still the link below one more time. So today, let's talk about the one more reason, why i uninstalled whatsapp from my device, and it has to do in terms of whatsapp group chats. Now what i noticed in whatsapp group chats is that, there is absolutely no form of privacy and ownership of the group. Lets even leave the case of anybody coming into the group, stealing your contact, and only for them to start bothering you with baseless messages. Let us face the fact that anybody and everybody who is a member of the group can easily go up there, and change the group's name and profile photo. What if it was a business group? Now not only is that the issue. We are still complaining of one unsolved problem, and then these guys behind whatsapp decides to add more salt to our already opened injury. With the latest update of whatsapp which is currently available on Google Play Store, for those who care, you can download it below..
WhatsApp introduced a new feature called "Group Description", though this feature is not new on all other social media platforms such as Facebook, but the thing is, still on the group ownership and control issue, everybody and everyone who is a member of the group has the right to go up there one more time, and change the group's description to whatever he/she likes, of which to me, it doesn't really sound like a very good idea. 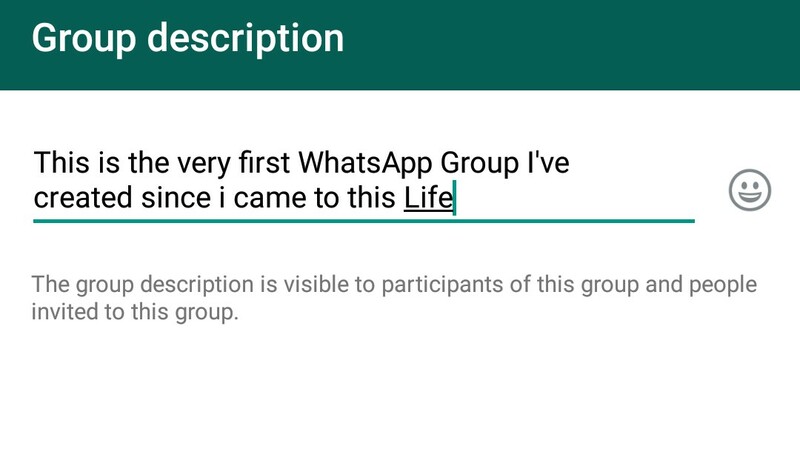 So personally, in my opinion, what i think should be done about this is that, whatsapp should try to remove some certain controls from the hands of group members, just like the one being discussed right now. And secondly, instead of the group admins being only the ones to add new group members to the group, i think that should be a very good responsibility that should be shared amongst the group members too, just like it is done on Facebook. At least, that will be one of the many ways that they can add value to the group, and not just coming here to change my group's description and profile pics. Thank You. 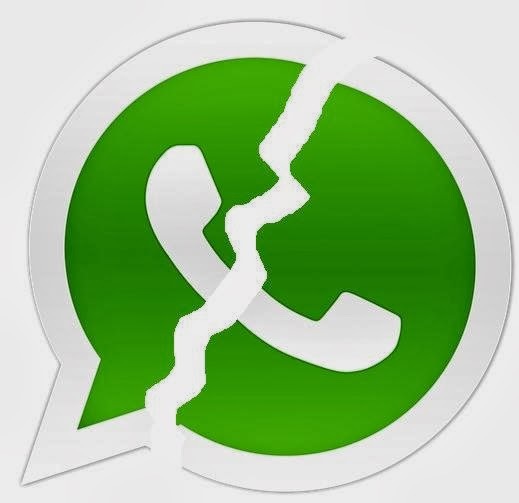 Meanwhile, tell us which other ways you think whatsapp should and can improve on this group issues currently being discussed. Please make use of the comments box below. Lol.. very funny.. i never underestimated the fact that WhatsApp still remains the best instant messaging app.. anyways, thanks for stopping by.